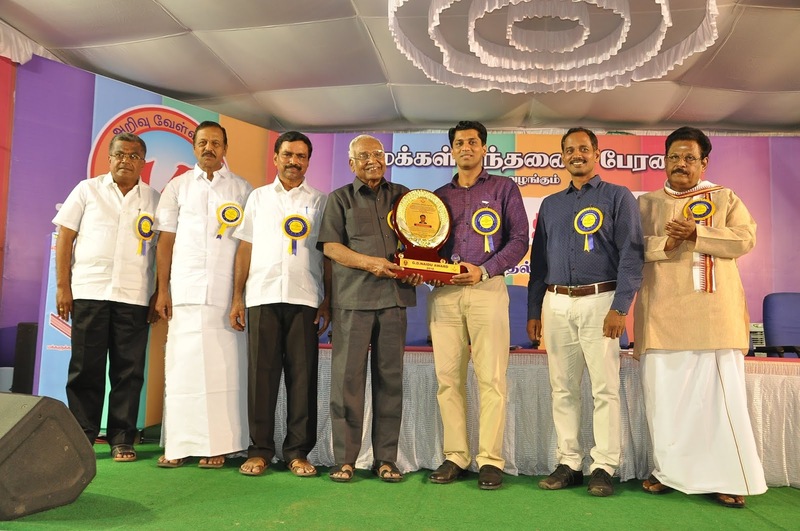 Indian Institute of Technology Roorkee Faculty Dr. P. Gopinath has been awarded the prestigious G.D. Naidu Award for Young Scientist by Makkal Sinthanai Peravai, a non-profit organization. The award carries a cash component of Rs. 1 lakh and citation and is sponsored by the Singapore Mustafa Tamil Trust. Dr. P. Gopinath has developed an economical and green way to detect and kill cancer cells and a portable nanofibrous material for treating air and water pollution. The award was given to Dr. Gopinath, who is an Associate Professor in Department of Biotechnology, IIT Roorkee, for his outstanding contribution in the field of biomedical nanotechnology by Dr. M. Anandakrishnan, Padma Shri awardee, former honorary chairman of the Board of Governors of the, Indian Institute of Technology Kanpur and Former Vice-Chancellor of Anna University, Chennai. G. D. Naidu (Gopalaswamy Doraiswamy Naidu) (23 March 1893 – 4 January 1974) was an Indian inventor and engineer who is also referred to as the Edison of India. He is credited with the manufacture of the first electric motor in India. His contributions were primarily industrial but also span the fields of electrical, mechanical, agricultural (Hybrid cultivation) and automobile engineering. Naidu also developed independently internal combustion four stroke engine. He had only primary education but excelled as a versatile genius. One of his hobbies was to travel by train to nearby cities. He is also referred to as "the wealth creator of Coimbatore".